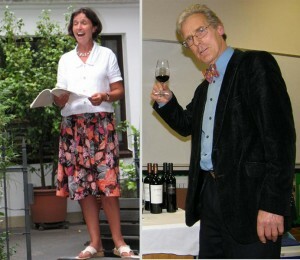 Your hosts at Church House are Lis and Andrew Darwin. Andrew is a wine merchant and Lis is a professional classical singer. We have lived here for 28 years and have really enjoyed doing bed and breakfast all that time. We try to treat our paying guests as we might treat distant cousins paying a rare but welcome visit. So there are no bossy notices about the place, and no name plates on the doors. The beds are always made up with laundered pure cotton sheets. You will not find a kettle in your room, nor sachets of instant coffee or tea. You should be offered tea or coffee, and maybe a slice of home-made cake, when you arrive – and if you want more, just ask. 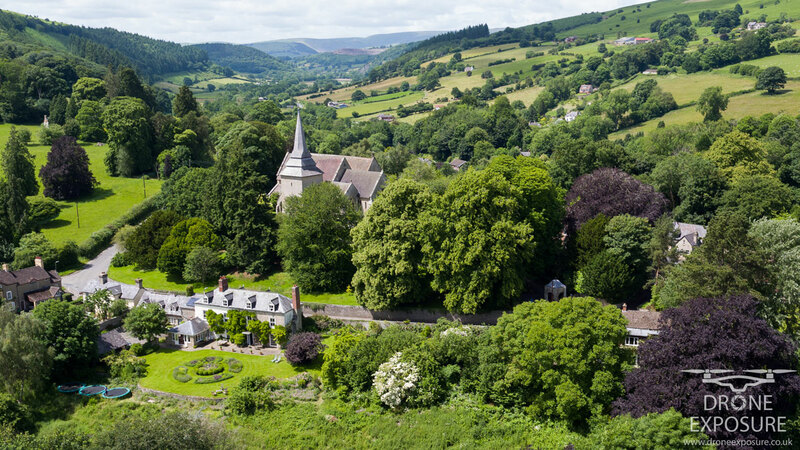 Church House is a beautiful Georgian town house with a spacious garden in the old part of Kington, a quiet and ancient market town in the lovely rolling hills of west Herefordshire, just 2 miles from the Welsh border. The house faces south-east, and all the rooms have fine views over the garden. 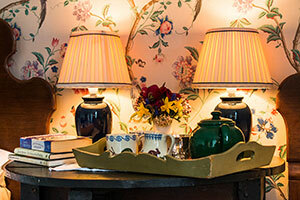 The house is largely furnished with furniture in keeping with the house’s 18th century character. Our guests are always welcome to use any part of the garden, and they can often be seen sitting for hours on a bench with a tray of tea and a good book, or snoozing in the sunshine on a rug.